The sun is out in the UK, it's Friday, and the July/August issue of Pharmafocus is going to print. 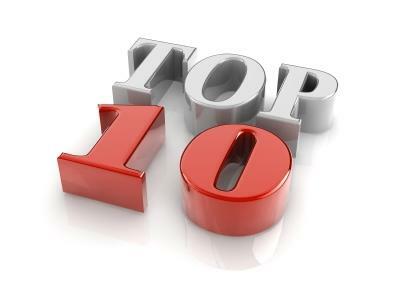 And, of course, it's time for another run-down of the top ten most popular articles over the last days. Among our most widely-read stories was Cancer Research UK's warning that cancer prevalence in UK citizens over 75 is set to almost double by 2035, and the reveal of new data which shows a new blood test for autism diagnosis proved to be 88% effective. But, swiftly following the news that Prime Minister Theresa May announces £20 billion in funding for the NHS, the most popular story this week is a new report which claims the health service could save £7 billion in five years through the use of new diagnostic tools. Purdue Pharma has announced that it has axed around 350 employees from the company, a move which also includes the eradication of the remainder of its already-gutted sales force. Shares in Sarepta Therapeutics rocketed by 80% after the company released preliminary data from a Phase 1/2a trial showing that its experimental gene therapy – AAVrh74.MHCK7 ­– boosted production of a truncated form of a muscle-making protein in three young boys with Duchenne muscular dystrophy (DMD). Kallyope and Novo Nordisk have entered into a research collaboration and option agreement to discover novel peptide therapeutics for the treatment of obesity and diabetes. Roche has clearly seen significant potential in Foundation Medicine’s work in genomics to pay $2.4 billion to take complete ownership of the company. PTC Therapeutics was able to post data from a Phase 1 trial showing 90% of babies given the treatment showed signs of improvement. New Jersey is offering a 10-year, $40 million tax incentive package for Teva to relocate its headquarters to Parsippany and, in the process, would manage to gain 1,000 jobs from having the company based in the state. A blood test designed to support the clinical determination of whether a child is on the autistic spectrum has been proven to be highly successful and could allow for earlier diagnosis, just one year after the original research was published. A new report from Cancer Research UK has indicated that the number of UK citizens over the age of 75 with cancer is predicted to rise by up to 80% by the year 2035. Research commissioned by Innovate UK and the British In Vitro Diagnostics Association (BIVDA) has revealed that the NHS could save over £6.9 billion in five years through quick adoption of new diagnostic tests.